KUALA LUMPUR: Amid rising construction costs in a slower property market, the Real Estate and Housing Developers’ Association Malaysia (Rehda) is calling on the government to provide more incentives to help them protect their crumbling margins. Many developers are reporting that their gross profit margin has eroded to below 15% this year, according to Datuk Seri FD Iskandar, president of Rehda. “Our margins are becoming smaller and smaller. I was talking about 17% to 18% last year. Now, a lot of developers are talking below 15% or 16% [gross profit margin]. 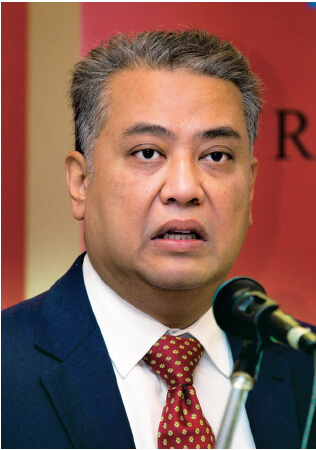 Margins are being sqeezed,” FD Iskandar told reporters at a briefing yesterday when presenting Rehda’s survey findings on the industry’s market outlook for the second half of this year and the first half of next. He said high construction costs that are eating into margins are also deterring developers from helping advance the affordable home agenda. “When we want to build affordable homes, give us some incentives, such as lower tax or [allow us] higher density; don’t charge development charges, [or] lower the conversion premium. A lot can be done,” he said. FD Iskandar stressed that developers are keen to assist fellow Malaysians achieve their dream of owning a home. “[However, the government] cannot keep on pushing and increasing compliance costs, [or] getting new policies [in place] and charging us for them,” he said. As an example of policies pushing up construction costs, FD Iskandar said the levy on steel should be lifted. “The moment you put in an element like a levy, then you increase the costs unnecessarily. [Just like] cement, aggregates, tiles, [and] bricks, we know how much we’re paying and how much our neighbours are paying,” FD Iskandar said. For example, he said steel prices in Malaysia and Thailand are similar, at about RM1,700 per tonne. But no thanks to the levy imposed by the government, Malaysian contractors are paying up to RM2,800 per tonne. Meanwhile, Rehda’s immediate past president and patron Datuk Seri Michael Yam Kong Choy said building an affordable house and a high-end house is not much different, in that the base cost — the construction materials used — is the same. “The land cost makes up about 10% to 15% [of total construction costs]. Even if it’s free, the input cost of construction, [like] concrete and steel, is very high. It does not matter whether you are building a five-star house or a very basic low-cost house. The differences are only in the furnishes and amenities,” said Yam. Yam highlighted that there is an urgent need for a better understanding among all stakeholders as to where the cost pressures are coming from, instead of finger-pointing to developers with accusations that they are making “supernova profits”. “We are in business, so that shareholders will invest in our companies. If they (margins) get lower and lower, I think some people would give up on development,” said Yam. The 6% goods and services tax (GST), which has been implemented since 2015, has also become a heavy burden for property developers, said Rehda’s past president Datuk Ng Seing Liong. He said Rehda was agreeable to the introduction of GST, but that it had advised the government to lower it for construction materials, just like how some countries charge differential GST rates on different types of goods. The GST rate should not be the same across the board, he argued. “If the government wants to help the construction industry, they should lower the GST,” said Ng, adding a more comfortable GST rate on construction materials would be 2%. He also suggested that the government consider lowering stamp duties on properties after the introduction of GST.